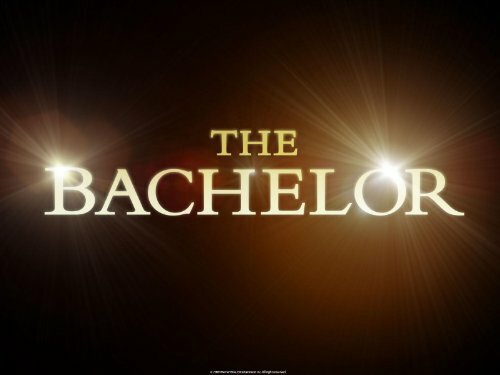 Quick Take: The Bachelor (Sean Lowe), "Week 9"
Review: The Bachelor (Sean Lowe), "Week 9"
(S1709) It was down to the final three on The Bachelor this week, and it was not an easy choice for Sean to let one lady go. Lindsay’s date was up first with her and Sean spending the day at a local Thai market and at the beach. Sean keeps saying he wants someone who is adventurous so the answer to this is to see if Lindsay will eat bugs. She is hesitant at first, but goes for it anyways and chows down on some insects. They spend some time on the beach and then have a romantic dinner among some Thai temple parade floats. They talk about the future and Lindsay tells him she would move to Dallas. She also wants to tell him she loves him, but every time she goes to do it, she is hesitant. And then when she does get the courage, they are interrupted by some musicians. The fantasy suite card comes into play and Lindsay says yes. At the suite, she finally gets her chance to say what she feels, but not before coming up with some awkward silence leading to the big reveal. Ashlee is next up. She and Sean take a boat ride to their destination, where they get to spend the day at a secluded beach, but have to swim through a cave to get to it. Ashlee kind of freaks out and Sean is just wanting her to trust him. After some squealing and hesitation from Ashlee, they make it to the beach and spend the rest of the day swimming and talking. At dinner, Ashlee is dreading the fantasy suite, but after he tells her that he just wants to ‘talk’ for the rest of the evening, she says yes. When they get to the suite, Ashlee cannot stop talking about how much she loves Sean and thinks that they are soul mates. Sean seems pretty into her and tells her that he has been confident in their relationship from the beginning. She even tells him what kind of rings she wants and her size. This tidbit of information might spell doom for her. Catherine and Sean spend their day on a boat and take in the sights of Thailand. Sean is worried that Catherine isn’t in the same place in life and wonders if she will move for him. Catherine assures him that she is ready for commitment and will move to Dallas. ABC, with their crafty editing, makes you think that Catherine turns the fantasy suite down, but you know she doesn’t! She tells Sean she had reservations about the fantasy suite in the beginning, if it came down to it, but now she has changed her mind. Before the rose ceremony, Sean sits down with Chris Harrison and tells him he knows who he is going to send home. He watches the ladies’ final message videos, smiling at the sight of Catherine and Lindsay, but looking sad when Ashlee gives her message. This kind of gives it away so it is not surprising that at the rose ceremony he picks Lindsay and Catherine. Ashlee is not happy and doesn’t even say goodbye to the other girls. Sean tries to explain himself, but she tells him ‘whatever’ and gets in the car to go home. Now that we know who the final two are, I never thought that Lindsay and Catherine would be it. Lindsay was the girl who wore the wedding dress on the first night, so she seemed kind of crazy and Catherine was barely shown on screen until their one on one date. Out of the two, it seems that Sean and Catherine have the best chemistry and I wouldn’t be surprised if she is the last woman standing. Next week is the ‘Women Tell All’ special and then the three hour finale will air March 11.